Find here your deals and coupons Corus hotels. 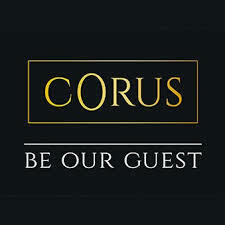 Corus Hotels were created with the belief that warm, friendly hospitality, personalised experiences and inviting settings are essential to a well-travelled life. Wherever you’re headed in Britain, we have a room for you. Each Corus Hotel is individual and unique in its style and design; some hotels are modern, some are country and some a touch more classic. What they have in common are a genuine spirit and welcoming, personable staff members. As our guests, discerning travellers enjoy affordable accommodation in UK and convenient central locations without having to compromise on amenities, cuisine or service.